North Coast Railroad | The McKeen Motor Car Website North Coast Railroad | The Compendium of Knowledge on the McKeen Motor Car Company, and their experiments. McKeen Motor Car on the opening day of service, 1909. 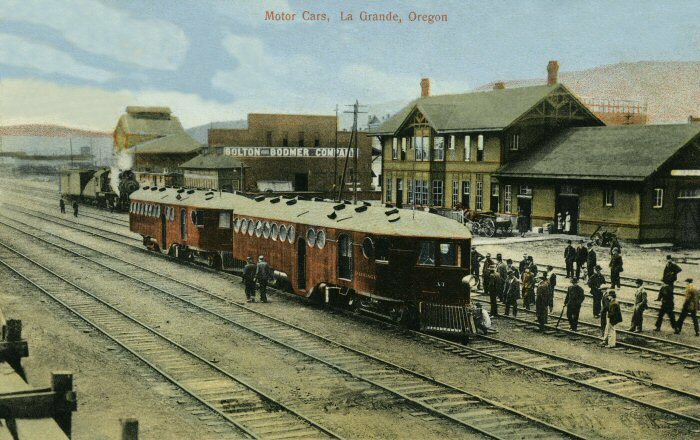 McKeen Cars A-1 and A-2 at the La Grande Station in La Grande, Oregon.